Definition at line 35 of file network-monitor-stub.cpp. Definition at line 39 of file network-monitor-stub.cpp. Definition at line 45 of file network-monitor-stub.cpp. Definition at line 51 of file network-monitor-stub.cpp. Definition at line 58 of file network-monitor-stub.cpp. 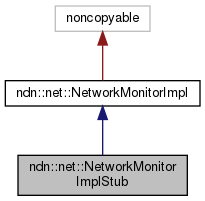 Definition at line 69 of file network-monitor-stub.cpp. Definition at line 80 of file network-monitor-stub.cpp. Definition at line 92 of file network-monitor-stub.cpp. Definition at line 91 of file network-monitor.cpp.